Your New Smile is a dental company specialising in lead generation for dental practices around the country. They initially worked with another agency that failed to deliver the results they wanted. Communication was difficult, and the agency had over promised on expertise that they did not have. After a difficult experience with their previous agency, we were recommended to Your New Smile by a contact in the industry due to our previous track record of generating business for dentists. 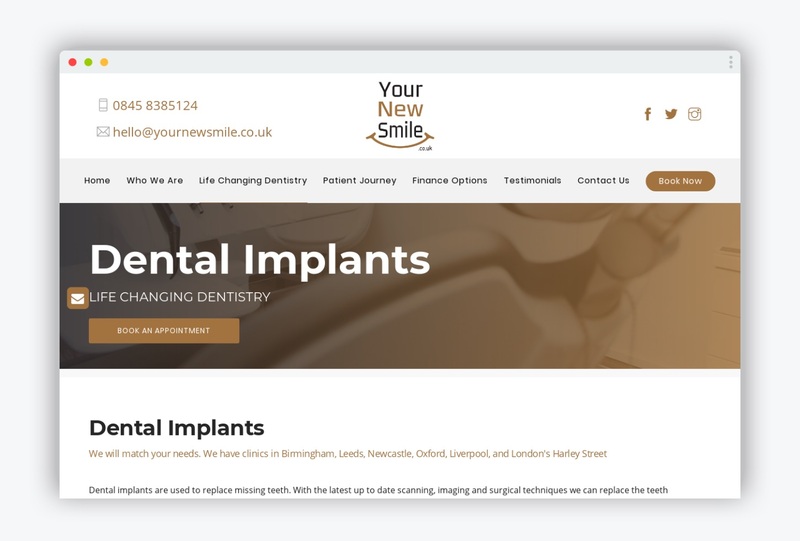 Your New Smile approached us for help with producing enquiries through online marketing, specifically social media and Google Ads. They offer treatments at a starting price of £5,000, a price that had historically put customers off. We were able to come up with a formula for advertising that was transparent about pricing, without scaring potential customers away. 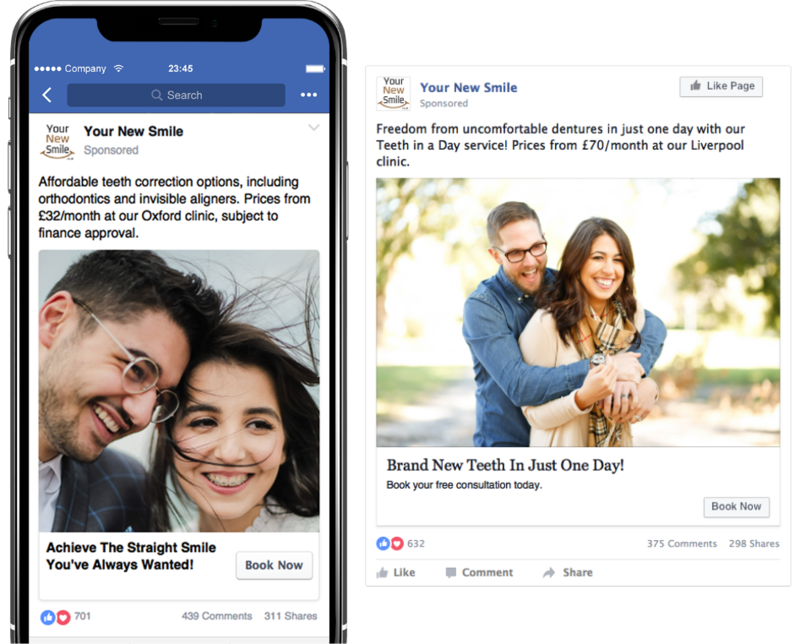 We recommended a Facebook advertising campaign supported by a small PPC campaign, a multi-channel approach that we were able to handle within our team. We also took over hosting of their website. We set up all of their AdWords and Google Analytics accounts from scratch, and connected the appropriate goal tracking, which allows us to review and measure how well each channel is performing. We took over the running of their PPC campaigns, allowing them to appear at the top of Google to an engaged user with strong intent. We also set up social media advertising through Facebook, putting out lead generation ads to collect contact details for all enquiries. The ads are run using specific targeting based on location and demographic, which means that the ads are only served to users that we have identified as Your New Smile’s target customer. We were also careful to word the ads in such a way that a customer would not be put off by a high price, focusing instead on a low monthly repayment figure. Having suffered a poor experience with another agency - we switched to Xpand. We now have a team that spent time understanding our business and our requirements and who, as a result, are a significant factor in enabling us to develop our business. After 20 months of working with Your New Smile, we had generated 3,100 inquiries through social media and PPC. We continue to work with them on a rolling basis, with new practices and locations coming on board regularly. We report on progress monthly and make recommendations for improvements, and have also begun to work on print advertising for Your New Smile, planning PR and advertising in publications such as the Metro. It can be difficult to know where to start when writing your marketing strategy. 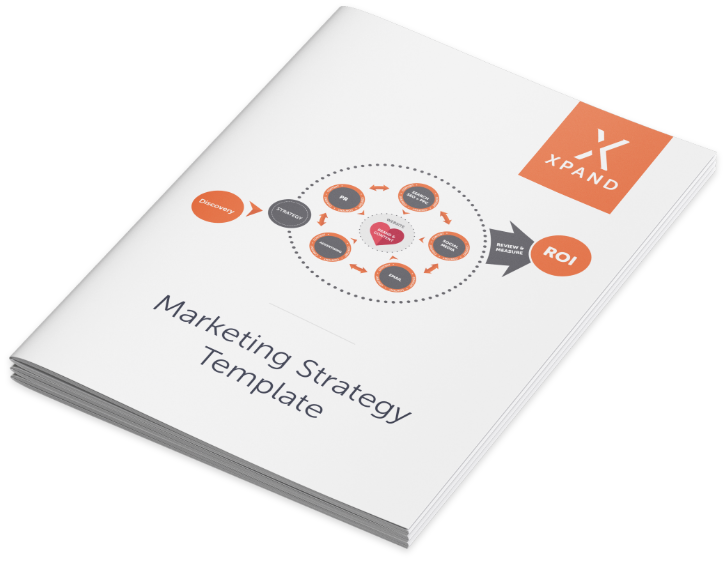 Our free template on creating a strategy that gets results can help. Just click to download.